Hybrid abutment is an abutment with a titanium section that is against the dental implant and a ceramic section over it to hide the metal. 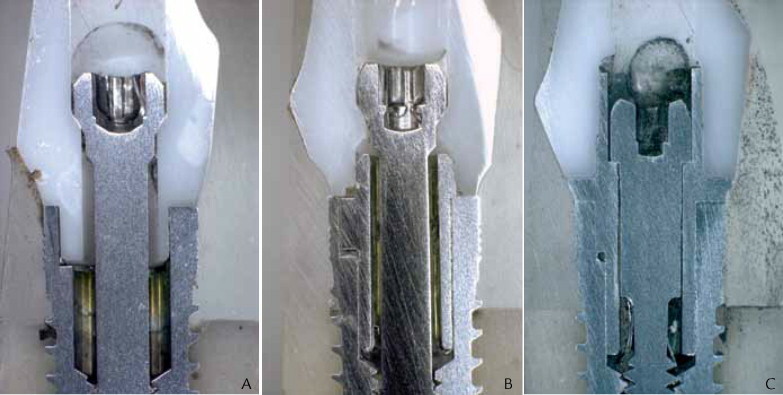 The H abutment is often specifically a lithium disilicate sleeve that the lab lutes to the titanium base. 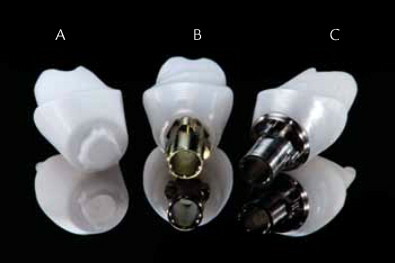 Hybrid abutment IDT 2012 Vol 3 Issue 6 – a Ti-Zi or Ti-emax hybrid. 3M and several other companies manufacture different versions, but I feel the custom hybrid abutments that the labs make are the best. 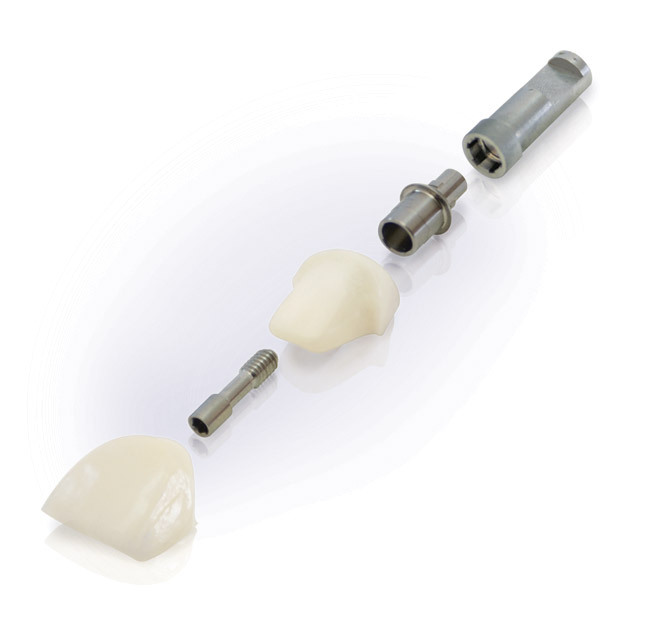 Why need at least 4mm for hybrid implant abutment? This dental implant restoration developed inflammation circumferentially after about 6 years. Upon removal it was discovered the metal and zirconia had separated. This design only had 1mm of metal friction fitted into the zirconia portion. Far superior design to the above. Why do you not use pure zirconia abutments? Pure zirconia for a dental implant abutment is not a good idea for two main reasons. First of all the abutment is more likely to fracture. The second is that the two materials will wear against each other and will damage the internal aspect of the dental implant. Everyone has their favorite design or way of doing this. I like the chart below to show how want the custom abutment to look, although most companies have very similar things for dentists to use. Some of this will be influenced by how your custom healing abutment looks.